Hieronder staan alle 13 CBOK Reports en 4 CBOK Stakeholder Reports uit 2016. 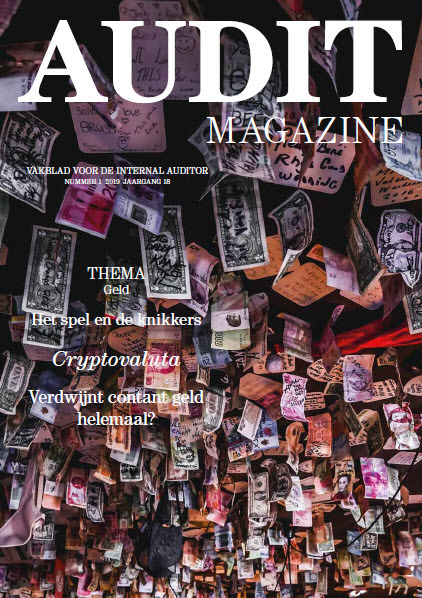 In dit artikel vind je alle 13 CBOK Reports uit 2015. Hier kun je alle 26 CBOK Reports in één bundel downloaden. Global macroeconomic uncertainty and rock-bottom interest rates, soaring regulatory expectations, cybersecurity threats and attacks, and other disruptive innovations make the Financial Services Industry the most demanding sector in which internal auditors operate. Besides fulfilling their core mission of delivering in assurance excellence, FSI internal auditors must do more. Effective assurance alone no longer guarantees success. Internal auditors often face challenges to their judgment and to their core ethical values. How they handle those challenges determines the value of the profession. This report provides an overview of results from CBOK Practitioner Survey regarding ethics in internal auditing. It also provides a framework that can be used to analyze internal audit professional ethics and related pressures. The CBOK Survey found significant and troubling differences between approved professional standards and actual internal audit practices. Although the Standards require development and maintenance of QAIPs covering all aspects of internal audit activity, only 34% of participating chief audit executives (CAEs) stated that they fully conform with this requirement. This may have profound consequences. The CBOK Survey reveals that women make up a large portion of the internal audit profession around the world; however, women still face considerable challenges as they navigate through their careers in internal auditing. This report has two goals: To describe how women currently fit into the internal audit landscape around the world, and to share perspectives and advice for achieving success as a woman in the internal auditing profession. Internal audit’s role in organizational governance has become increasingly important. This has become clear because informed observers and commentators initially asked, “Where were the external auditors?” then “Where was the audit committee?” and finally, “Where was internal audit in all this?” This report takes shows how internal audit can better position itself to contribute to effective organizational governance. An underlying objective of The IIA’s International Standards for the Professional Practice of Internal Auditing is to ensure that internal audit is effective, of high value, and of high and consistent quality. This report exposes significant levels of nonconformance with the Standards among internal audit practitioners around the world. The board of directors is a key stakeholder of internal audit with needs that internal auditors are uniquely positioned to provide. Most often, the board’s primary interface with internal audit is through its audit committee. The CBOK 2015 stakeholder study offers insights as to the expectations of audit committees of internal audit. How mature is your internal audit department (or how mature can it be)? This subject is explored using responses from more than 2,500 Chief Audit Executives in The IIA’s Common Body of Knowledge database. The findings were further supplemented through interviews with a small sample of CAEs from different regions in the world who commented on internal audit department maturity. When an internal auditor elects to pursue certification, he or she takes a big step toward establishing a professional reputation that speaks loudly of integrity, dedication, and commitment to both the profession and his or her organization. Survey results reveal which certifications are most popular in different parts of the world. While technical skills are needed for day-to-day work, analytical/critical thinking and communication are personal skills that continue to be at the top of any Chief Audit Executives' wish list. Practitioners with these skills have a higher probability of overcoming any technical deficiencies and stepping up to meet stakeholders’ value-added expectations. The first release from the CBOK 2015 Stakeholder Survey, the second anchor of the CBOK study, confirms that the profession of internal auditing has been making great advancements in performance, positioning, and perception. It also highlights opportunities for internal audit to push even harder, moving to the next higher level of value for organizations. Building on the 10 imperatives for internal audit that were presented at The IIA’s 2015 International Conference, this report highlights unique concerns for Africa and provides insights from internal audit leaders in the region. Ongoing changes in African economies and governance systems have created notable differences between regions within Africa, which will be described throughout this report. The most effective Chief Audit Executives position their Internal Audit Departments to add value and inspire business improvement by maximizing the productivity and contribution of their internal audit cohort. This report provides great insights on how CAEs and other audit leaders can improve their practices for evaluating and motivating internal auditors. As the leader of the Internal Audit Function, the Chief Audit Executive is responsible for its effective and efficient management. While education, experience, and certifications are important, they alone are not sufficient to propel someone to the CAE ranks. This report discusses soft skills which might be must-haves for aspiring CAEs. How well are internal audit departments meeting the needs of the audit committee, and is the internal audit department receiving the proper support and oversight of the internal audit function? The overall answer to these two questions is that both groups are doing better, but there are many opportunities for improvement. One of the biggest challenges chief audit executives (CAEs) face is having enough staff to meet demands and obtaining the right skills to complete their audit plans. To meet this challenge, many CAEs engage third parties for some of their internal audit activity. This report will help internal audit practitioners, managers, and audit committees to more effectively manage these relationships.